Book tours are fun. They could be referred to as the ‘pinnacle’ of the whole writing journey; by this time the books are safely published, usually after countless rewrites and corrections, and the writer is free to speak about the process through those rose-tinted glasses. This week I leave for my third book tour over the past year; retracing my steps in the Far East as well as visiting pastures new. I’ll be touring for my publisher, Schott Music, with my piano course Play it again: PIANO Book 1 & 2. The tour will take me to Singapore, Malaysia, Indonesia and Hong Kong. In each place, I will be giving a series of workshops and master classes (and also private lessons in Singapore and Hong Kong). I’m extremely excited about this prospect; travelling has always been a way of life for me, and yet I still crave the buzz of excitement it offers, irrespective of the destination. 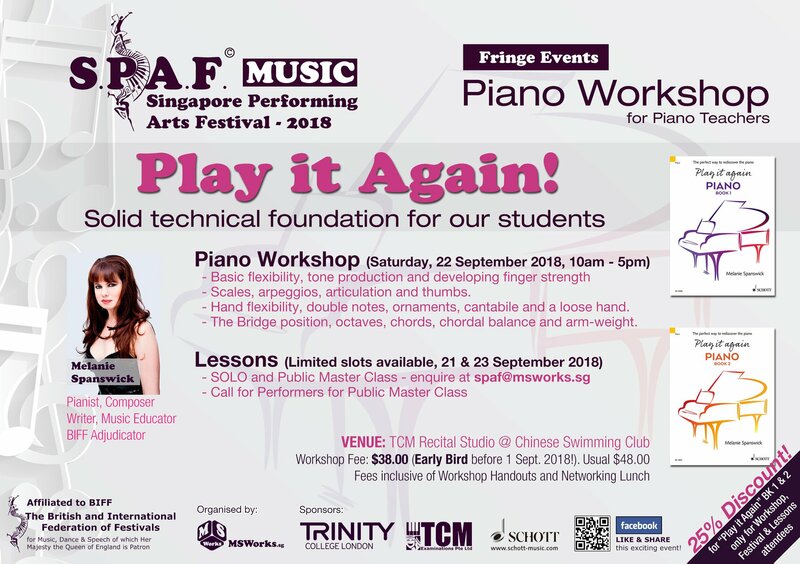 The tour begins in Singapore with a piano teacher’s workshop (details above), focusing on many elements mentioned in my books. The Kawai Music School in Katong has already been using Play it again: PIANO with many of their students. In my workshops, I enjoy involving teachers and students as much as possible with plenty of hands on participation and discussion. 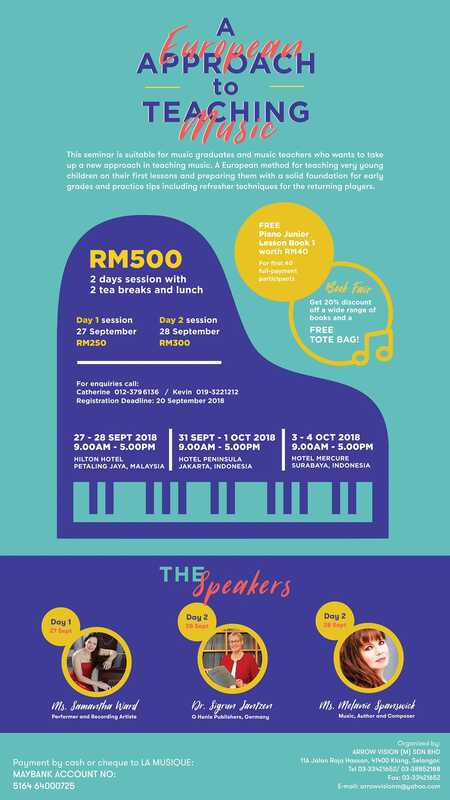 These workshops predominantly highlight various aspects of piano technique, an important element for teachers in particular, as without such knowledge, helping students achieve their potential is challenging. After a few days, Malaysia beckons, and I’ll be moving to Malacca, which is to the south of Kuala Lumpur. Here, there will be a two-day workshop (including seven different presentations) and a student master class, all purely for piano teachers. Encore Music Centre is a popular school in this region, and the teachers have also been using Play it again: PIANO as their course of choice over the past few months. I can’t wait to see how they are getting on with it, and I’ll be hopefully able to answer questions and make suggestions regarding the content. Kuala Lumpur is a buzzing metropolis, and is where I join Dr. Sigrun Jantzen, from Henle Verlag, and fellow Schott author, Samantha Ward. British pianist and artistic director of PIANO WEEK Samantha Ward, has her own series published by Schott (Relax with), but on this occasion, she will be presenting Piano Junior, the new beginner’s method written by German composer and writer Hans-Günter Heumann. Dr. Jantzen will present Henle’s extensive range of publications. 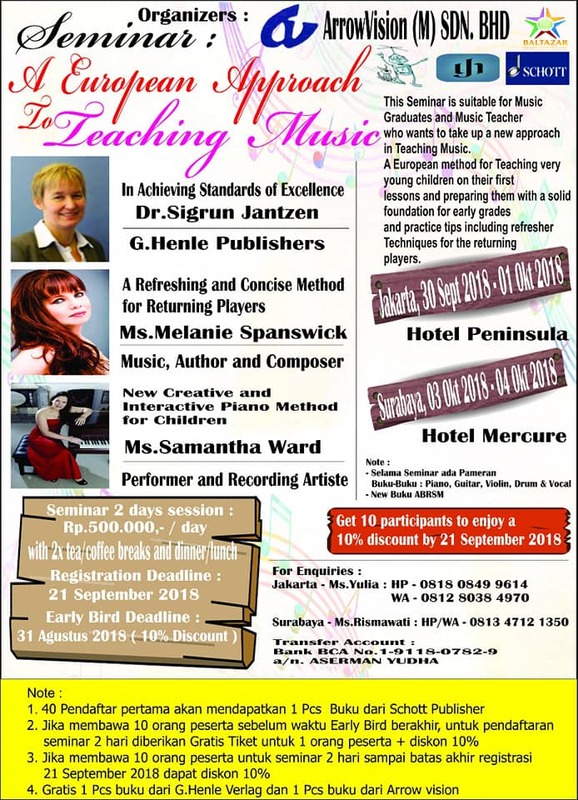 Together, we will embark on three large piano teacher seminars in three different cities. After Kuala Lumpur (see flyer above for details of the Kuala Lumpur seminars), we fly to Jakarta (Indonesia), and then on to Surabaya, to the East of Jakarta and the capital of East Java, (see image to the right for more details). 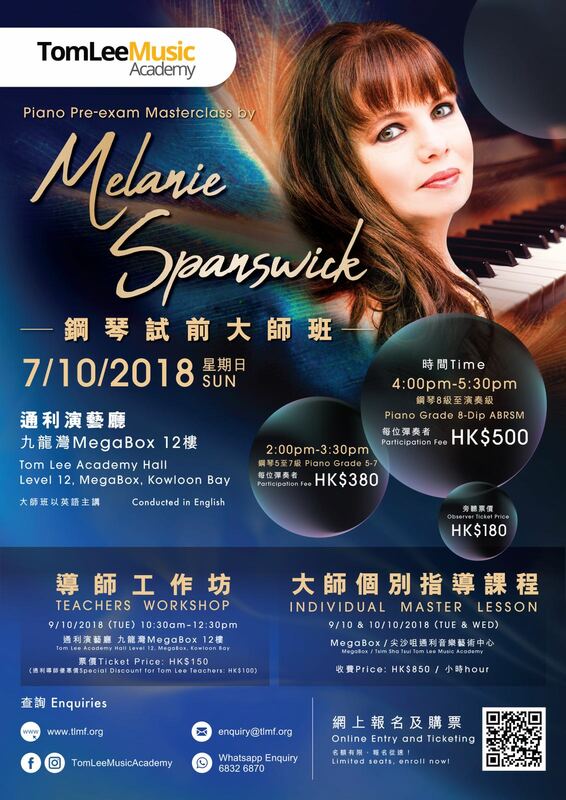 Finally, I fly to Hong Kong on my own for a special series of Play it again: PIANO workshops, master class and private lessons for piano teachers and students (see below for details). Tom Lee is one of the leading music retailers in Hong Kong, and as an adjudicator and examiner, I have worked many times at their various centres which are peppered across Hong Kong. Our venue is at the Megabox in Kowloon Bay; a large concert hall situated on the tenth floor. Most of all, I’m looking forward to meeting new friends, teachers, and colleagues, and experiencing many aspects of music and music education in this region. If you live in this part of the world and are relatively near any of the venues, please do come along; it would be lovely to meet you. Play it again: PIANO Book 1 & 2 will be on sale throughout all the classes and workshops, but you can find out more about them, watch my videos, and purchase them by clicking, here. They can also be purchased on Amazon.